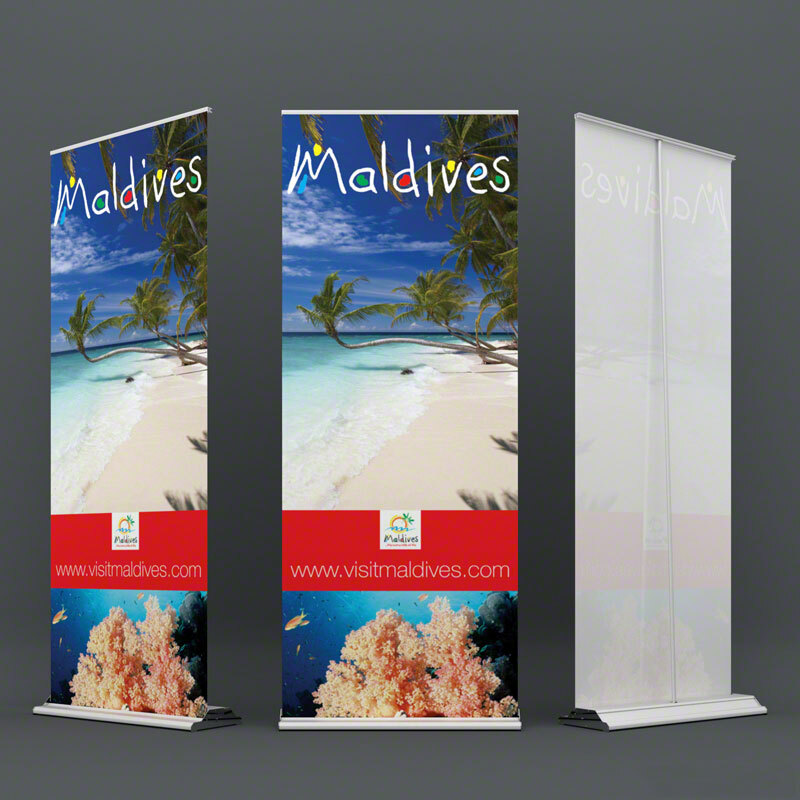 Aqueous offer high quality roller banner printing at low prices with very quick turnarounds. All our roller banners, pull up banners, pop up roller banners and exhibition displays are supplied with full colour printed and laminated graphic panels, high quality aluminium stands, carry case and FREE delivery to one UK mainland addresses. 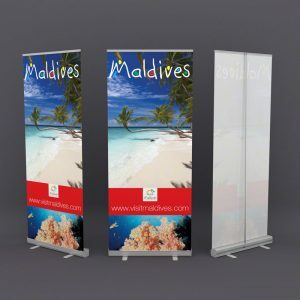 We are a trusted UK supplier of pop up banners with a wide range of pull up banners and exhibition stands to suit any budget, lightning quick turnaround and the very highest quality printing. As you will see below our prices are very low, yet the quality of our products is underscored by the 2-year warranties we offer. We can print directly from your artwork but we also offer a fixed price graphic design service. If you would like to discuss your requirements please contact us today. Let us design your roller banner for just £49! 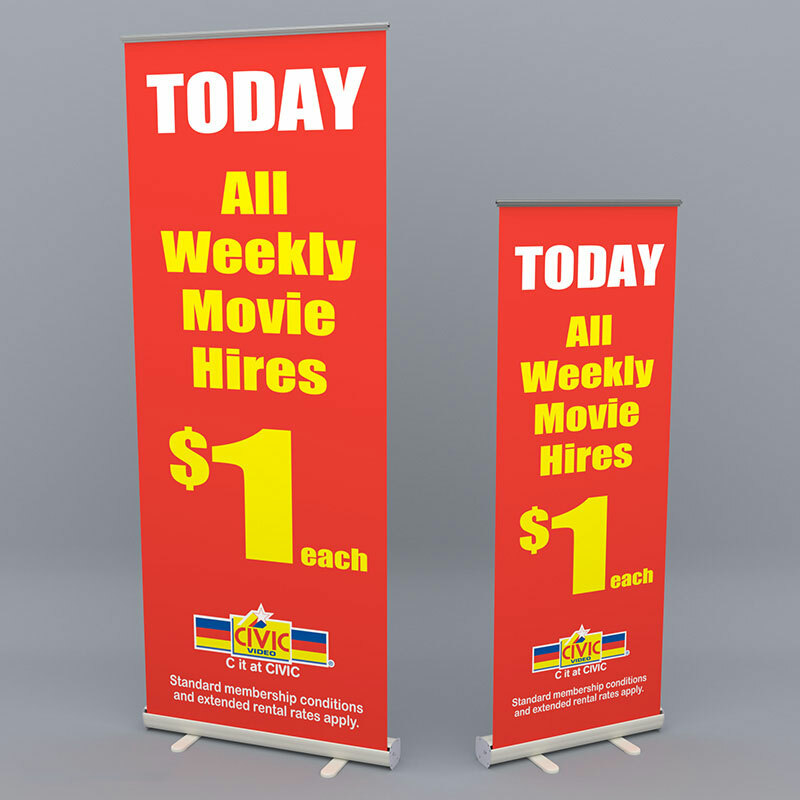 The Budget Roller Banner range is a highly affordable solution. This range has the same photographic quality print as the Premium & Deluxe models, the difference is in the hardware. The base is a lightweight white base with end caps on the feet. 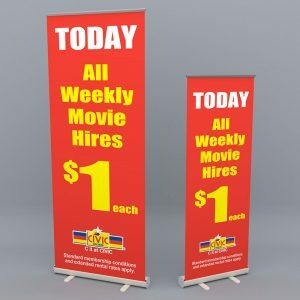 The Premium Roller Banner range is the most popular signage solution because it is so versatile, installs quickly and easily, yet is compact. 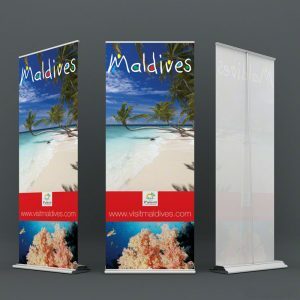 The Deluxe Roller Banner range is the most stylish and sturdy pop up banner we offer. It features an elegant, wide base, available in a range of sizes perfect for reflecting upmarket high end events, companies and products launches, exhibitions, conferences, seminars or in-store promotions. The photographic print seamlessly rolls or retracts into the base for safe storage when not in use. Call us on 01934 524663 to discuss your requirements, or click the button to send us an email.